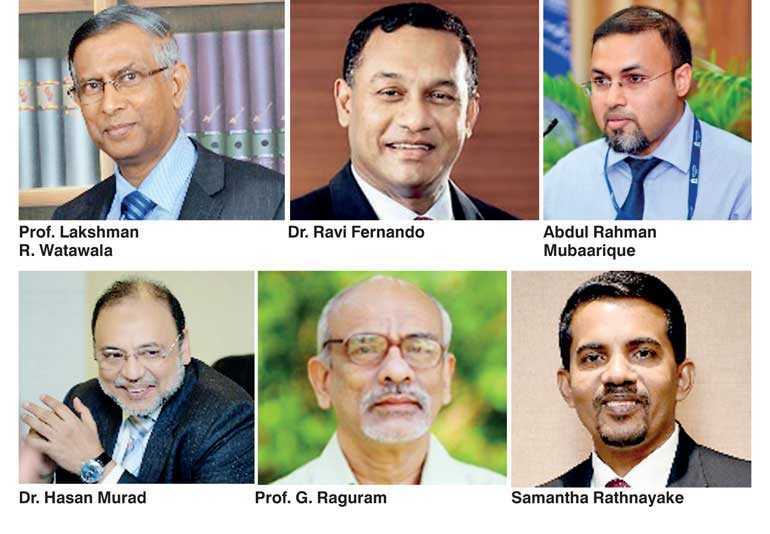 The country’s foremost management event, CPM Regional Management Conference 2018 (CRMC 2018), organised by the Institute of Certified Professional Managers of Sri Lanka (CPM Sri Lanka), will take place from 4-5 September at The Kingsbury, Colombo. The theme of this year’s conference is ‘Delivering Winnovative Business Strategies: The Quest for Managerial Excellence’. The conference will be organised in collaboration with the Association of Management Development Institutions in South Asia (AMDISA) for the fifth consecutive year. Association of Management Development Institutions in South Asia - is a SAARC Recognised Body. It is a network of management education and management development institutions in South Asia. It has 271 members from the SAARC region. Its mission is to “Promote management education and management development activities in South Asia, taking into account the economic, social and cultural context of the Region, with the firm dedication to world-wide exchange of experience and ideas in the fields concerned.” The Board of Management of AMDISA will be held in Sri Lanka prior to the conference. Leading management schools from the region will participate at these events. The conference will be inaugurated on 4 September and the Keynote address will be delivered by Dr. Ravi Fernando, Executive in Residence, INSEAD Business School (Social Innovation Centre), France on the topic ‘Embedding Sustainability and Embracing New Technology’. Dr. Fernando states: “As one who is passionate about everything I ever do, my focus is strategic corporate sustainability and strategic national sustainability and believe that for a tipping point to be achieved in sustainability in the planet, we need nations and business to embed sustainability in national and corporate strategy.” President of AMDISA and Dean of National University of Maldives Abdul Rahman Mubaarique, Vice President of AMDISA and Chairman of Board of Governors, University of Management and Technology, Pakistan Dr. Hasan Sohaib Murad, and Director IIM Bangalore, India Prof. G. Raghuram together with the President CPM Sri Lanka and the Immediate Past President of AMDISA Prof. Lakshman R. Watawala will address the inaugural session. This Regional Management Conference will be a major event hosted by CPM bringing credit to Sri Lanka and will have the participation of management professionals and academic researchers representing leading post graduate management universities in the SAARC region together with management professionals from industry, commerce, banking and finance and the service sectors in South Asia. As in the past, this conference will be well patronised by business leaders and top and middle level management. The conference is meant for managing directors, directors, CEOs, COOs, senior managers, managers and executives in the field of marketing, human resources, finance and accounting, IT, engineering, medical, transport and logistics, tourism, telecommunication, sustainability and CSR, university academics and government, State corporation and private sector managers, executives and management trainees. Registration for the conference is on a first-come, first-serve basis. For registrations please contact CPM Secretariat - Dilshan 0112 590 995 or 0714 775 125 or email to crmc@cpmsrilanka.org, web: www.cpmsrilanka.org.